So good! That first episode! Everything about the show is ace! I was looking for this a couple weeks ago. I thought it was out already. I will definitely give it a watch. Plainview they must have put it up recently because I didn't see it up there a couple of days ago. First couple episodes were awesome loving it! Poor Frank's a mess. 1) What's is rated on Netflix? TVMA? 2) Why is there such a disparity between critics and the public in terms of response? I'm not sure what the critics are talking about. I'm on episode 3 and it is amazing so far. I like the pacing. You're not wrong about that disparity it's so highly rated by fans on imdb and metacritic and pretty much panned by critics. I honestly can't tell why. For me the punisher was my favorite thing about daredevil and the show so far delivers on my inner hype and some. Yeah. I was a little disappointed with the first episode, not because it was bad but because I expected it to start with absolute carnage. Loved the end, thyough. Looking forward to binging it. Some of the episodes were marvelous. Others were kinda dull. Overall entertaining though. Better than Luke Cage, that's for sure. Just wanted to pop in and say thanks for recommending this everyone. Enjoyed the first two episodes waaaay more than I thought I would. Watched the first two episodes with the wife on the weekend and we enjoyed them. Gonna watch 3rd tonight or tomorrow. Loving it so far. The guy playing the character is the best fit for Frank Castle that has ever been cast. Ray Stevenson>>>>>>>>>>>>>John Bernthal and I think Bernthal is a great. I have one more episode to watch. I think it will be tonight. Bernthal is probably my number two favorite actor with Tom Hardy being the first. I still haven't finished the Punisher series yet but what I've seen so far, I really like! 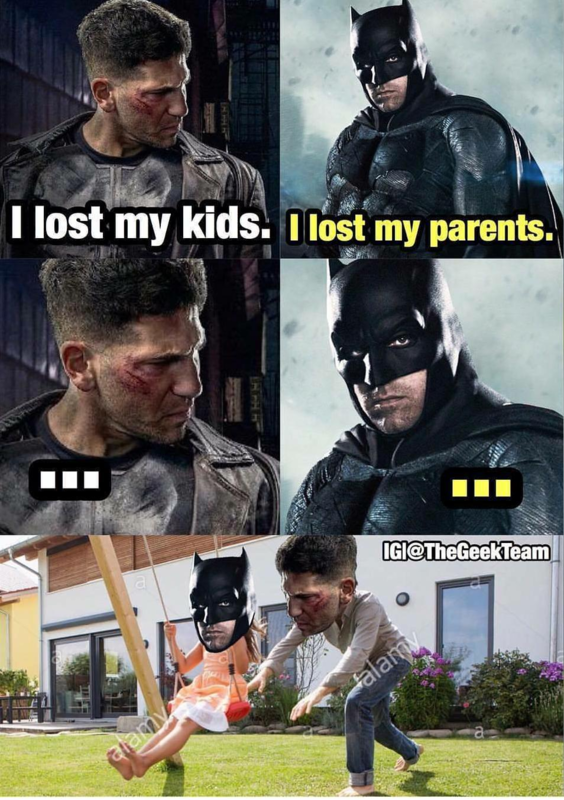 Bernthal is the living embodiment of the Punisher. Guy is perfect for this role! I'm annoyed by his grunting. That's about the only bad thing I can say about him and the series. The death of Rawlins was insane. Hell to the yes. His grunting and attempts at tough guy voice and screams are truly irritating. We finished watching episode 9 tonight and the only flaw I can see in this great show is the lead role. They could have easily cast a better actor. Even a relative unknown could do better. That bulletproof glass moment. I was like ohhhh SNAP! Finally finished this (that Netflix backlog...). Wow... very violent and emotional. Daredevil season 1 and 2 and this are in the must watch category (you don't need to have seen the other Marvel netflix stuff). Finished the first season lastnight. Violent is right. I don't think I've ever seen so much blood. Good ending though. Excellent first season. Season 2 is out? When did it drop? I missed it.